Do we value the words of Jesus? Do we live his words? Through a series of six video conversations, Tony Campolo and host Colin McCartney discuss the radical but clear teachings of Jesus. Together, Campolo and McCartney confront complacency and assert that the issues Jesus spoke directly about should be the priorities of God’s people. 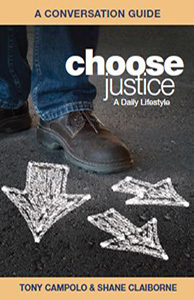 As they wrestle with thought-provoking questions in the video segments and companion 32-page Conversation Guide, groups and individuals will be challenged to make Jesus Lord over every dimension of their lives. 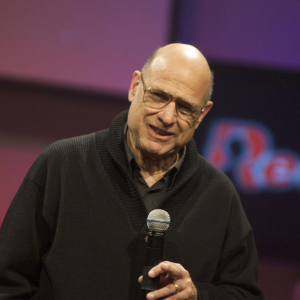 “It’s about time we take Jesus seriously.” -Tony Campolo The Red Letters is a six-segment DVD series of conversations featuring Tony Campolo as he endeavors, in his unique and compelling style, to draw viewers’ focus to the teachings of Jesus Christ, particularly in regard to social issues. Red Letter Christianity is a global movement of Christians who are taking the actions of Jesus and his words – the “red letters” in some versions of the Bible – seriously. The message in those red letters is radical, to say the least. Jesus’ words in the Sermon on the Mount suggest an ‘upside-down Kingdom’ and challenge our notions of what Christianity is and how we live it out in today’s world. The social issues and values addressed in The Red Letters include taking care of the poor, finding justice for the oppressed, spreading the Gospel and loving one’s enemies. 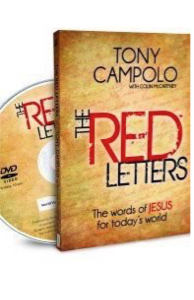 Through six thought-provoking video segments with accompanying interaction questions, Campolo challenges complacency, and asserts that these are the issues that Jesus spoke of directly, and therefore these issues should be the priorities of God’s people.